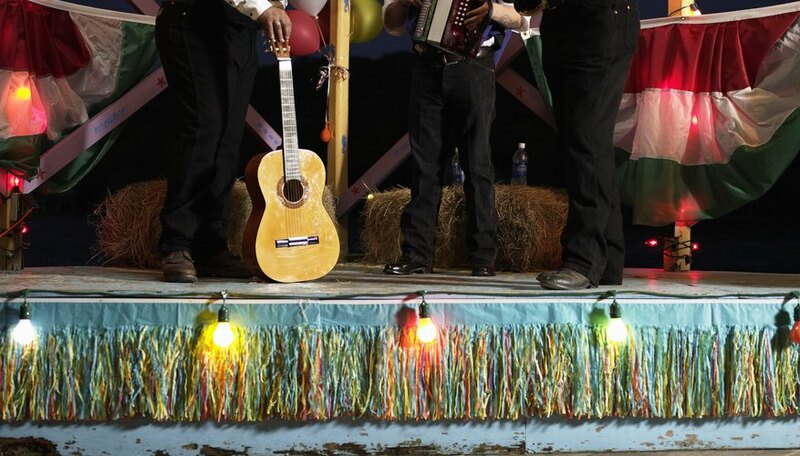 The rich tradition of Mariachi, Banda, Nortena and Ranchera sounds are a rich treasure from the Mexican culture. Many common and not-so-common instruments are used by the bands and groups that perform traditional and modern Mexican music. 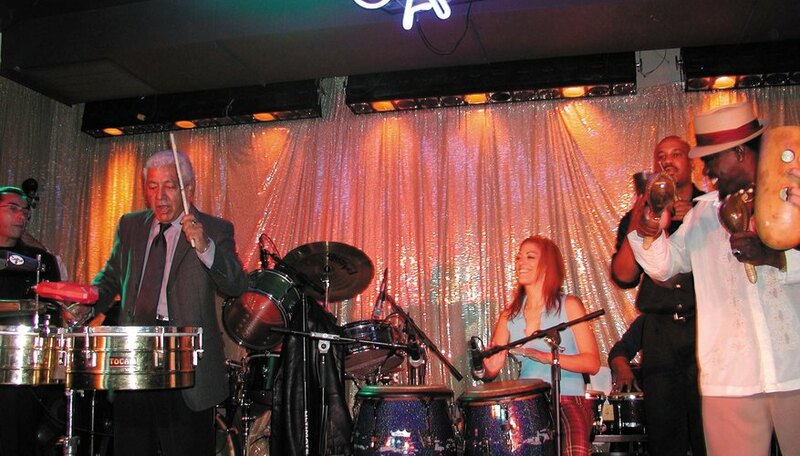 Maracas are a percussion instrument that are used in Salsa music. They are made of the fruit of the higuera tree. The round and small fruit is first dried. Through two drilled holes, small pebbles are inserted and a handle is attached. The amount of pebbles in a maraca is traditionally an uneven number to create a distinct sound. A guiro is a dried gourd with ridges on the surface of the shell to provide a rough place to rake a wooden stick across. Dating to pre-Columbian times, this percussion instrument is still used by Salsa bands today. Some guiros can be produced by metal, plastic or fiberglass.This instrument is also known as a calabazo, guayo, ralladera or rascador. 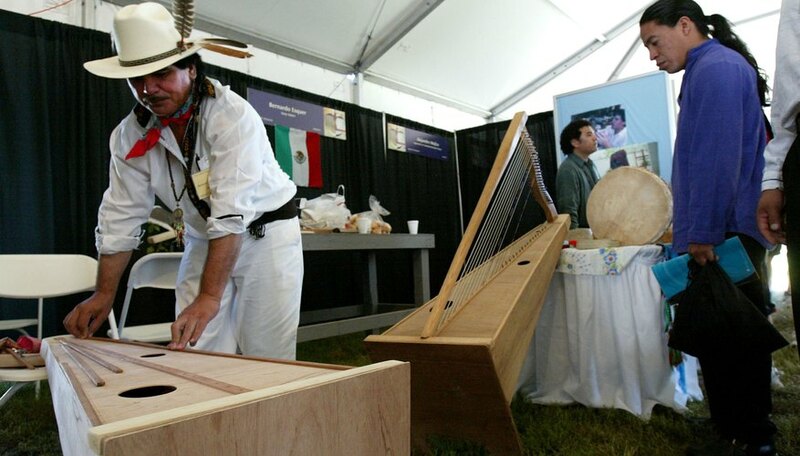 The Vera Cruz harp is typical of other harps used in Mexico and South America and came to Mexico from Spain in the 1500s. Their strings are low tension and made of nylon. The fingernails are used to pluck the strings. A rapid movement called a tremolo creates a sound that resembles that of a mandolin. This five-stringed guitar is an essential part of a Mariachi band. It provides the rhythm in a high-pitched sound. The guitarron provides the low notes. Some consider the vihuela to be a lute. The Spanish in the 15th and 16th centuries brought the instrument to the Americas. The violin usually leads the melody in a Mariachi band. 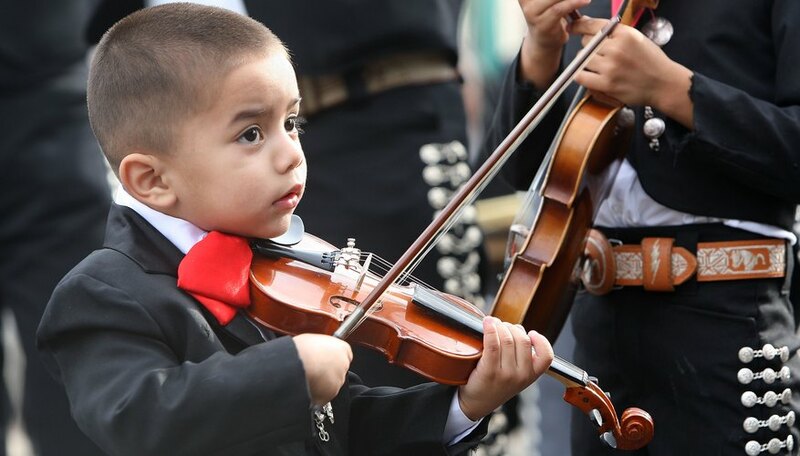 Since the development of the Son in Jalisco in the 1700s, the violinist has proudly taken his place in the Mariachi band dressed in his charro suit as a symbol of national pride. 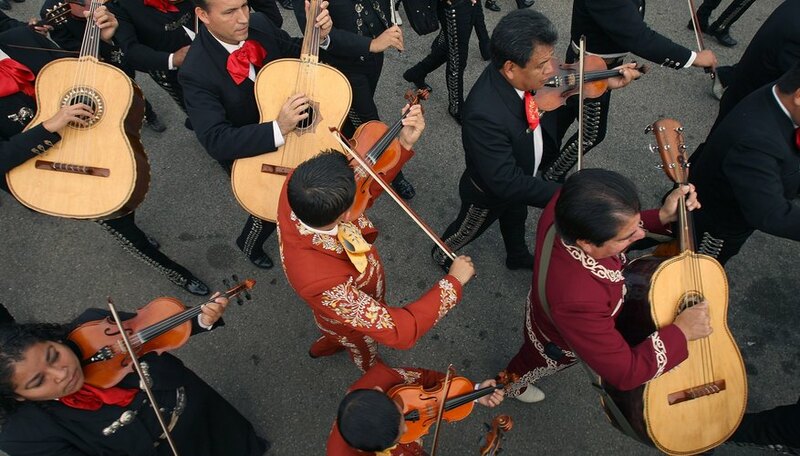 Most Mariachi bands have at least two violins. Popular throughout Europe, the violin came over with the Spanish in the 15th century and has been a part of Mexican music ever since.